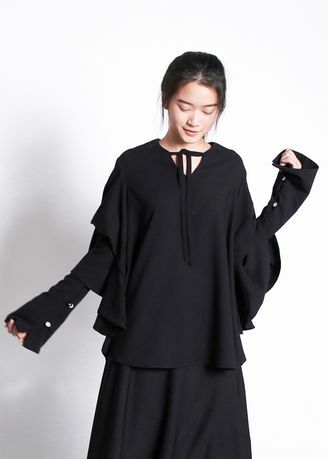 Drape sleeve top. Flare cuff with button details. Front tie detail. Tonal stitching. - 100% Heavy Cotton Crepe.